Eating healthy doesn’t have to be tasteless and boring. Lately I have started to add a lot more raw food to my diet. 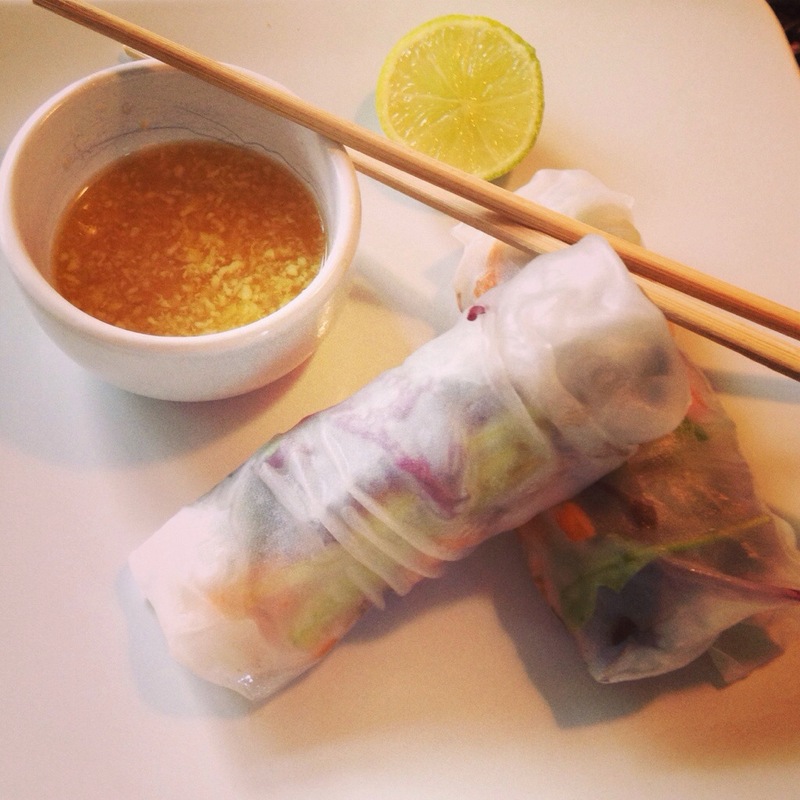 This rolls have a mixture of raw and cooked vegetables and together they give a great texture. If you are a high raw eater you could just marinade the mushrooms instead of cooking them, like I did. And of course you could leave out the prawns for a vegan option. Now when it comes to roll it I am quite a novice and the first few rolls were a bit of a disaster but practice makes perfect, or so they say! A tip I learned is not to try to overload it. Put a mix of the ingredients in the middle and roll it away from you tucking the sides tightly as you do it. Run a damp finger over the edges to seal it. Cover with a damp cloth as you do the rest. You can also add chopped toasted cashew nuts for a bit of crunch!! 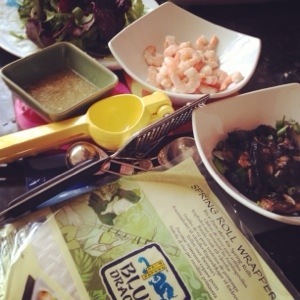 This entry was posted in catering, cooking, food, health, nutrition, raw food, snacks, Uncategorized and tagged diet, healthy, nutrition, prawn, raw, springrolls, vegan, vegetable. Bookmark the permalink. These look so tasty, I just love rice paper rolls.